Once I knew what was in my bag this month, I have to admit that I was a little disappointed at what I was getting. It's like that sometimes, and that's really the curse of the spoilers. I can't resist looking at them, but sometimes it ruins the excitement. That being said, I always keep an open mind and hope for the best with the products that I'm going to get, and I did that this month as well. But how did I like the bag when all was said and done? Keep reading to find out! 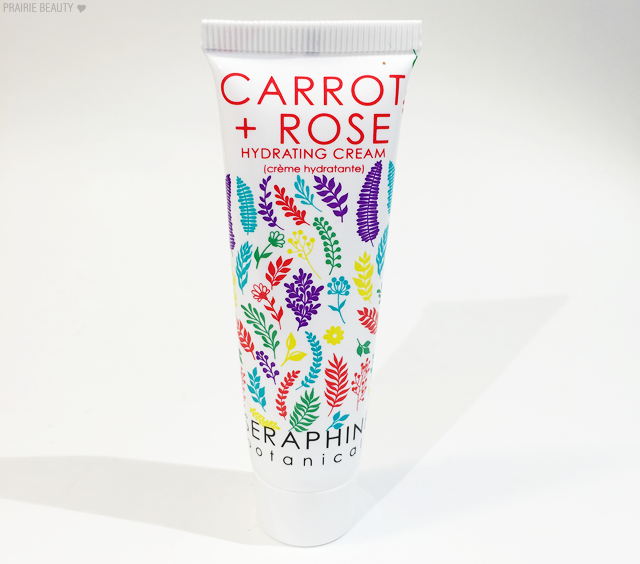 A lightweight, hydrating cream formulated with glycerin, a natural humectant that helps soothe normal to combination skin by locking in moisture all day. This silky, comfortable cream can be used on the face or body to help nourish and protect your skin without leaving a sticky, greasy feeling. Not gonna lie, I assumed that this was strictly a body lotion, so I was a little bit surprised when I found that you can use it on the face. So far, I've only tried it out on my hands, but I really do like the feel of it and it leaves my skin feeling really hydrated without feeling greasy at all. I might try it out on my face, but it's more likely that I'll use this up on my body. 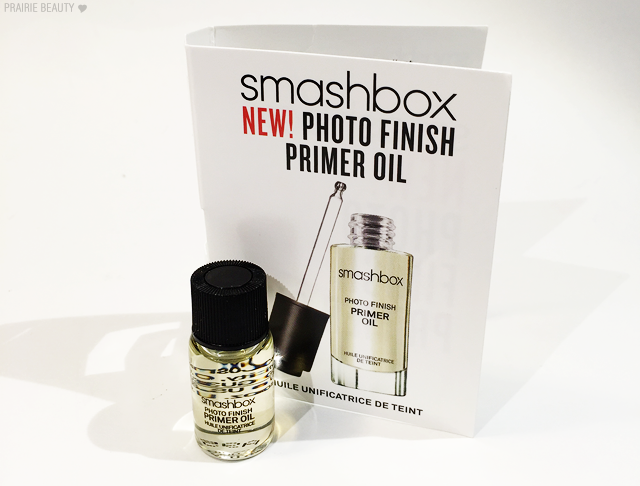 A primer with the luxury of a face oil, infused with a blend of 15 essential and lipid-rich plant oils to moisturize the face for seamless foundation application and a dewy, youthful finish. I'm not gonna lie... I haven't tried this because it's a little bit terrifying to me. I love the idea of using a really moisturizing product under my makeup, but I'm not sure that I can use an oil under my makeup without it breaking up. I WILL try it... just not on a day when I need my makeup to look good for several hours. 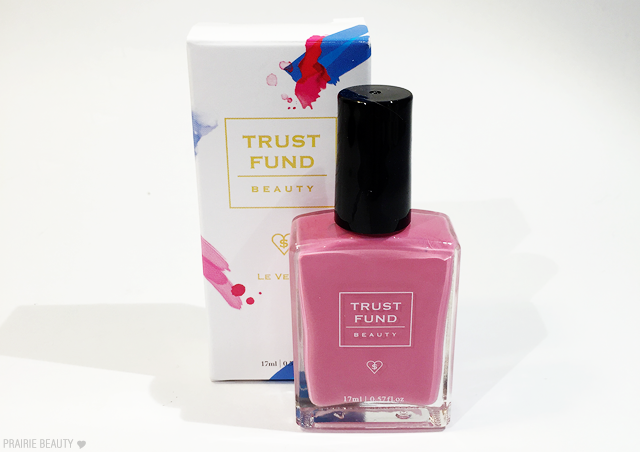 Formulated with love in the USA and EU, Trust Fund Beauty is always vegan and cruelty-free. If you’re looking to minimize the toxic content you’re exposed to, and you believe you can be beautiful without being cruel, Trust Fund Beauty is the indie cosmetics company for you. This baby pink shade will let everyone know that you really are a big deal! When I saw the picture online (which looked as baby pink as the description) I was convinced that I would literally never wear this, but when I got the shade it has a little bit more of a rosy mauve tone than I was expecting and I actually think it'll get a lot of wear in the spring time. I already know that I love the formula of the Trust Fund Beauty nail polishes, so I'm really relieved that I like this colour. Naked Cosmetics is the purest, most natural make-up that exists. Naked Pigments are 100% oxidized Mica, and do not contain talc, oil, wax or other fillers that can be harmful to your skin. It is 100% color to give you a pure product that is non-allergenic, non-perishable, and simply beautiful. Just to be clear, I couldn't actually find anything online about the weight of a full size, so the value is based on the assumption that this is a full size product. I'm not entirely sure that's correct, but we're going with it. 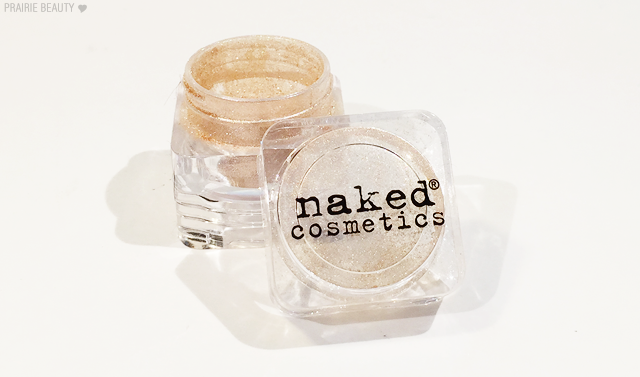 I'm not a big fan of loose pigments and I rarely reach for the ones in my collection, so this isn't something that I'm going to use often, but I will definitely reserve this for times when I want to pack some shimmer onto a night out eye look. I'm really not mad at this at all. 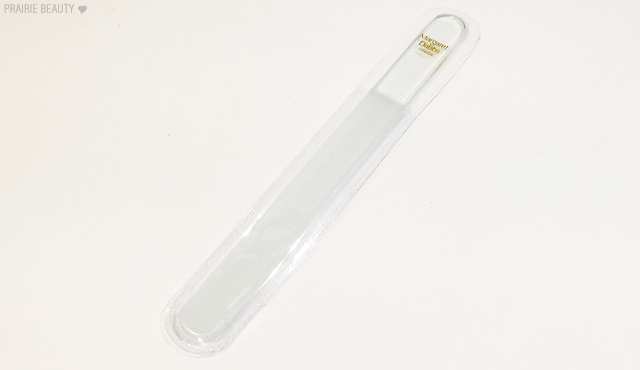 The Margaret Dabbs London Glass Crystal Nail File is slim and elegant, but most importantly, effective to use. The Crystal Nail File will immediately provide a smoother, finer finish to your nails. The fine abrasive crystal finish protects the nails, making them less prone to splitting and can be used on finger and toe nails. So, I'm obsessed with this thing. Honestly, my nails have been kind of a mess lately as winter has taken its toll, but I used this on the weekend to smooth my nails out and they're looking and feeling fantastic. I like that a crystal nail file doesn't give me that shudder worthy sound and feeling like an emery board or traditional nail file does. This is niiiiiiiiice! 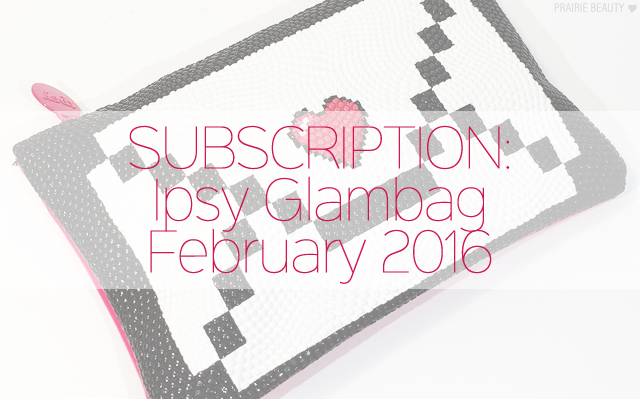 I feel like the values of my Ipsy bags have been going up recently, but I have also been doing Canadian dollar conversions on them since our dollar has dropped so much so I think that tends to inflate the price. Still, if I would have spent nearly $100 to get this stuff I'm more than happy to spend the around $20 it costs to get the Ipsy bag. I'm surprised at how happy I am with this bag at the end of the day and I know I'll get use out of at least 3 of the products - 4 if you count the pigment, which I'll likely only use occasionally. Not a bad Ipsy bag this month! I'd love to hear in the comments what you got in your bag!